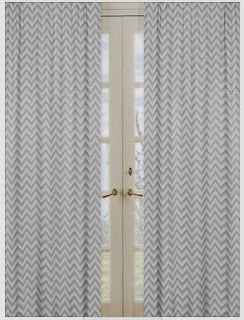 Originally, when we thought we were having just one baby, I was searching on Pinterest for neutral nursery decor and fell in love with the gray/white chevron theme. I figured I could throw in some bright cheery yellow and go from there. But then, we went in for our first ultrasound and found out we were having twins. Things changed. Fast. In order to effectively plan for two babies, we decided to find out their genders. And as you all should know by now, we found out on Christmas morning. 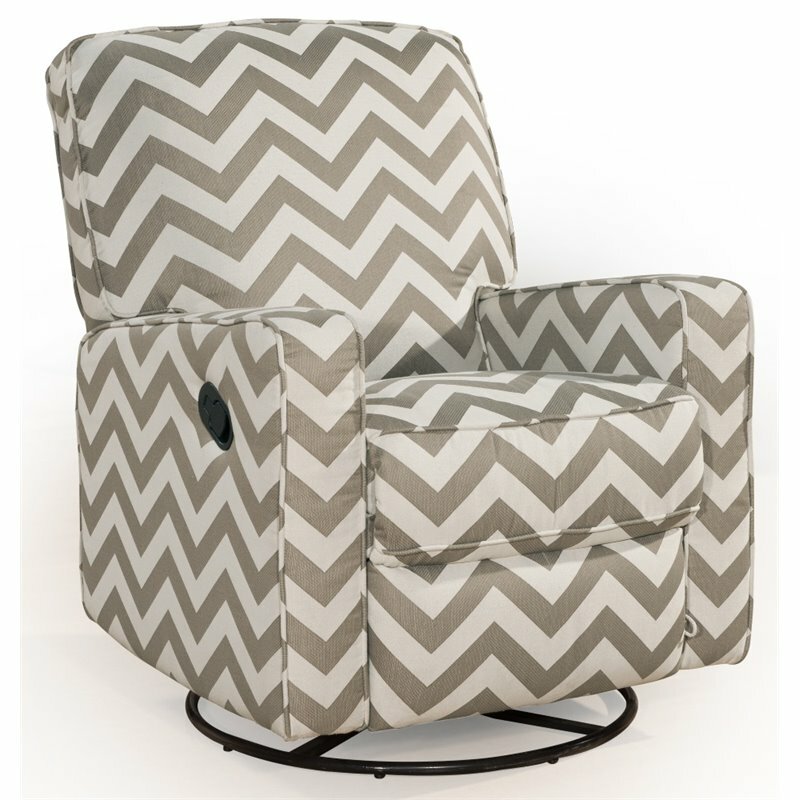 Gray chevron. I really love the idea of a clean/crisp gray and white color scheme with pops of yellow and/or navy to brighten it up and personalize it. For those who have seen my Cape Cod cottage, you know that I am a big fan of white furniture, solid color pastel paint colors and an overall open, breezy, clean feel to it. Now that we know we are having two boys, I may throw in a few nautical items...we will just wait and see! Some cute gray chevron items I found to help with the theme were these fitted sheets, bed skirt, changing pad cover and crib bumper. 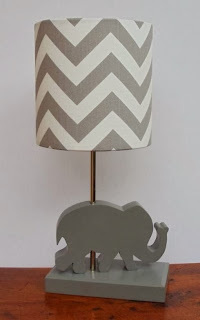 I also loooove these curtains and the little elephant lamp. 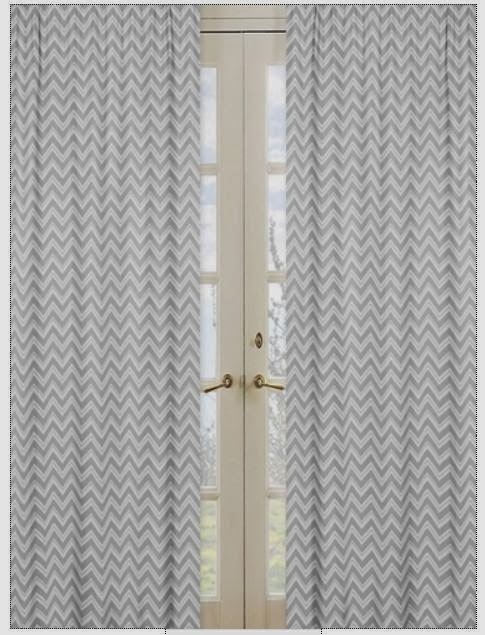 I hope to buy them assuming they will go with the windows in whatever room ends up becoming the nursery. Lastly, I want this glider. It is so cute!! Since A and B are used to spending so much time together in a confined space now, I figure why put their cribs on opposite sides of the room, or worse -- put them in separate rooms?! They are twins. I like the idea of their cribs being close to each other forming an "L" shape. 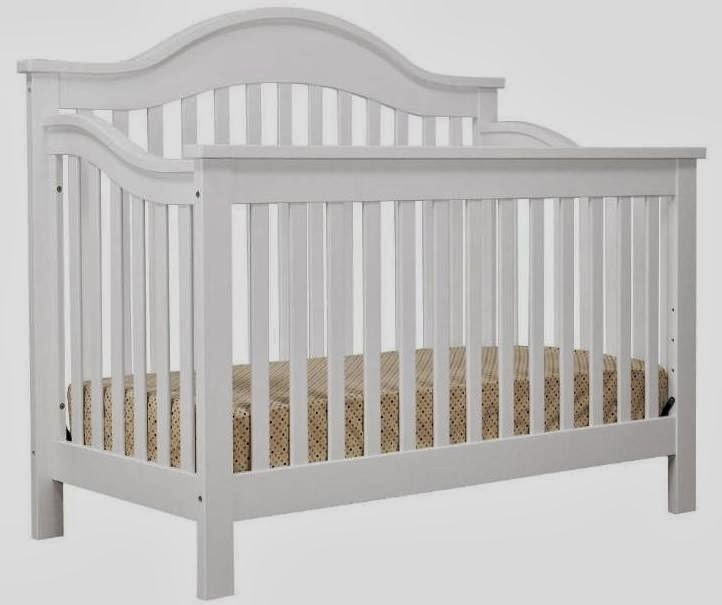 I read that twins can share a crib for the first few months, basically until they can roll over and it becomes dangerous. 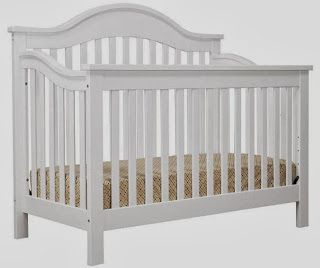 Some helpful advice I've received for those who live in homes with multiple floors, is to keep one crib on the main floor and the other upstairs in the nursery, for when the twins take their naps during the day. You don't want to keep going up and down stairs, especially when recovering from childbirth. 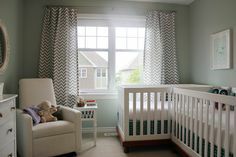 I completed my baby registry with Amazon.com and found a ton of well-priced nursery items. I really liked the Davinci set for the crib, changing table, dresser, etc. 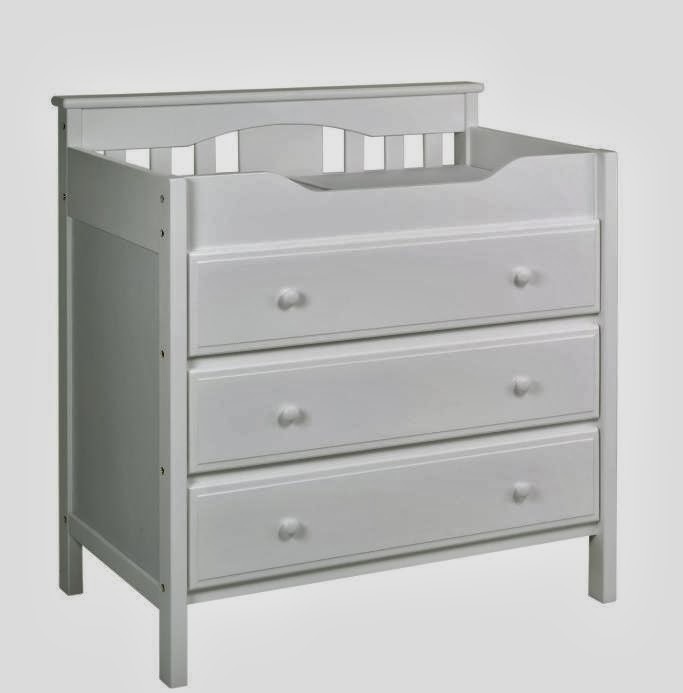 The crib converts to toddler bed, daybed and full-size bed down the road, which is a huge money saver. 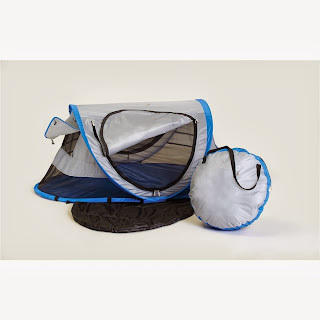 I am also planning on using these little cubbies for the small baby items, such as clothes, receiving blankets, wash clothes, towels, baby power, diapers, wipes etc. That way I am not stuck opening/closing drawers all day. Here are the baskets we have right now. I might need to buy a few more. 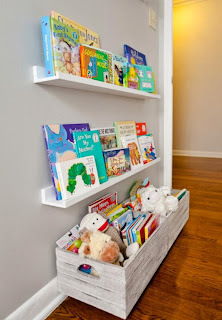 I really like this reading nook, because I know we will be reading them a ton of stories as they get older. It reminds me a lot of my childhood. Growing up, my mom would read to us a ton and also took us to the library almost daily. 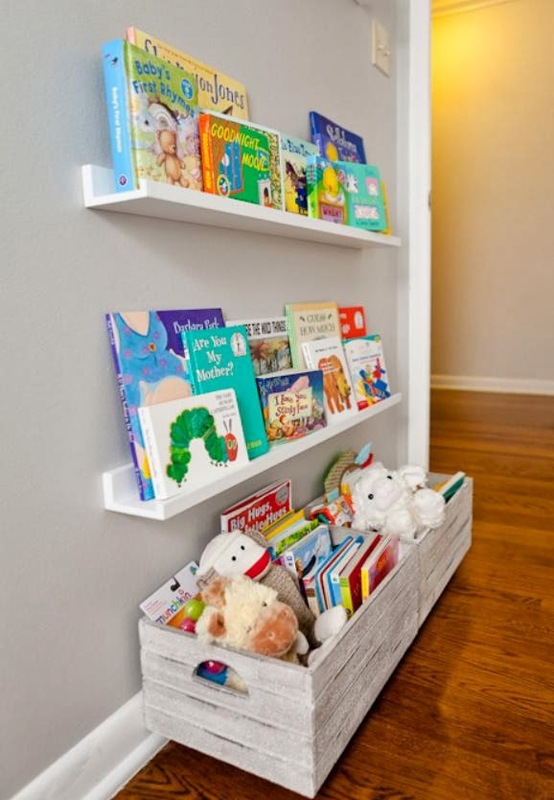 She would love it if we had this little reading area. Not that it's necessary, but I thought it would be fun if I registered for some gray chevron items that are not limited to only the nursery. 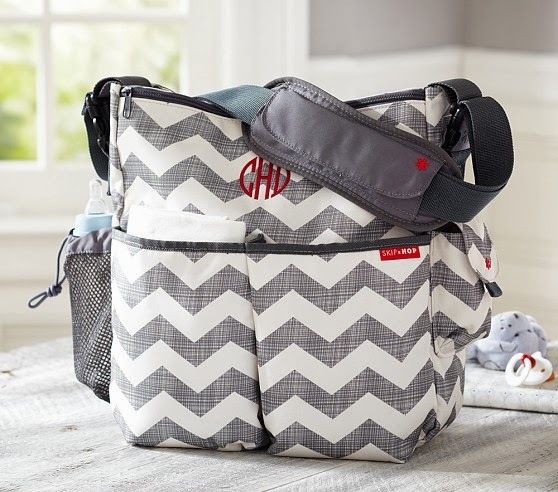 For example, I found this diaper bag and it also has a matching portable changing station. These organic cotton hooded towels matched my theme perfectly and I thought they were super cute. It was fun looking through all these things, everything was adorable. Also, thanks to Pinterest and Etsy, I discovered this nursing cover that doubles as an infinity scarf. 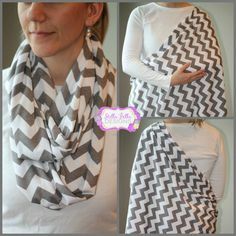 I listed a few chevron ideas above, but if you are curious to see what other ideas I am interested in for A and B, like this cool travel bed for the Cape this summer, then check out the board I made for them on Pinterest http://www.pinterest.com/sharonc5/a-and-b/.